The final two covers to close out the Damien Jurado Covers Project. Hezekiah Jones and The Black Atlantic both contribute and continue to impress! Is this the end? The last day of Damien Jurado cover songs? Yes, but we have a good one with Fire Mountain, Psalmships, Wilder Adkins, Doc Feldman, Thorsten Nesch, and David McMillin of Fort Frances! Damien Jurado: A Slowcoustic Cover Project – Day Three!! Covers from Lotte Kestner, Jack James, Jeremy Squires, and Sheltered In Sound. 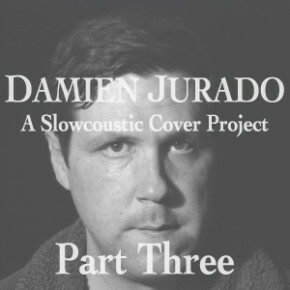 Damien Jurado: A Slowcoustic Cover Project - Part II brings us the track 'Beacon Hill' from the 2010 album Saint Bartlett. 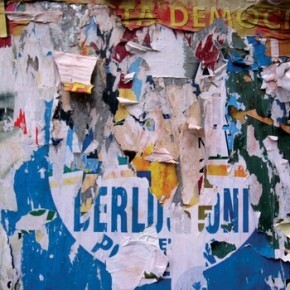 Cover versions from Spiraloff, Small Houses (ft. Kevin Killen) and Kim Janssen.